A bold practicality. 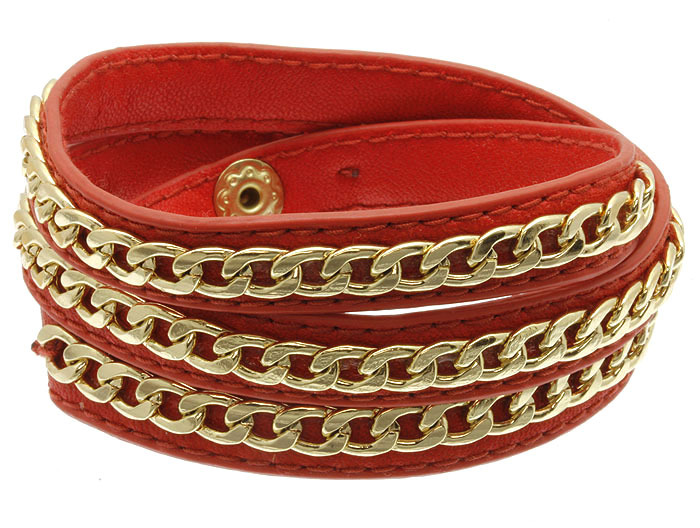 The Andrea features gold-plated Cuban chain link laid along a wrap-around cuff of fire engine red leather. Wear for a fiery dousing of colour. Buy this high quality but cheaply priced jewellery online here at Oz Bling.